Texarkana loves a good parade, and we love being in parades! So that's what we plan on doing Saturday morning, September 15. You are going to be there, right? 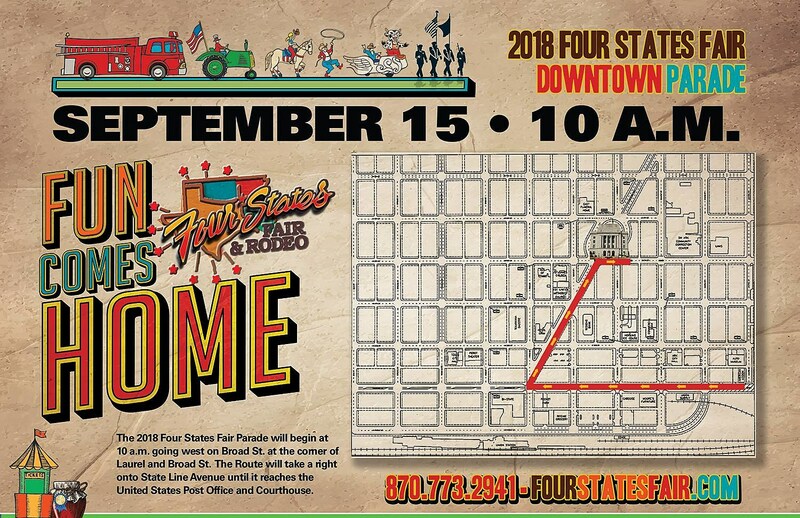 September means Friday night high school football and the yearly return of the Four States Fair & Rodeo, and you can't have a Fair without a parade right? Join us in downtown Texarkana Saturday morning starting at 10 AM for one of the best Fair Parades you will see anywhere. Click on the map below to see the larger image, and we'll see you Saturday morning!